A week later, Rainhart strode down the corridor of Breg Castle. It was strange to be back here, and strange that retaking Breg had not been the end of the war. Valdon still lived, and the barons were still captive. Tancred had Breg, but he did not have his crown. They had sent scouts out to find where Lord Cassius and the rest of the Jovani force were. Once things were in order in Breg, they would march south. With the Cimbra garrison dead, the town leaders had sworn fealty, the castle had opened its arms to welcome the uncrowned King home, and Tancred had taken over the King&apos;s chambers and set about cataloguing all the things Valdon had carried off to Traumwald. Rainhart knew he should be feeling triumphant, but instead he just felt worried. Valdon had stripped the capital of everything that might be useful to Tancred: the fields outside the town were razed, the palace empty of its valuables, and the racks in the barracks bare--no weapons or armour to be found except a few dented practice swords. Rainhart reached the throne room and ducked inside, finding a place standing next to Philomena. Tancred sat on King Godfrey&apos;s throne, listening to two merchantmen complaining about Valdon&apos;s treatment of the city. "I thank you for bringing this to my attenton," Tancred was saying. "I promise you that Valdon will receive a full accounting for his crimes. And I thank you too for your loyalty to my family, even while the usurper was spreading treasonous rumours about me." "It isn&apos;t right not having a Reuz in throne at Breg, your majesty," said one of the merchants. "Goes against the way of things." Tancred smiled and inclined his head. The merchantmen were shown out and Tancred stood. "Is that everyone?" he said to the steward. "Princess Holle." Tancred beckoned. "If I may have a brief word in private?" 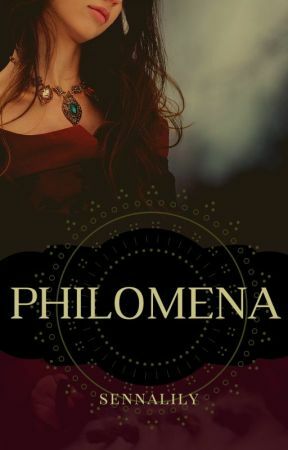 Rainhart looked, worried, at Philomena&apos;s profile. He could tell nothing from her expression. The interview took only five minutes, and then Tancred and Holle were back. Holle glided across the room towards Rainhart. There was a sweet smile on her face, but he could see her clenched fists. "I am very disappointed in you, brother," she said, then left the room. Rainhart grimaced. "I thought you were going to convince Tancred not to tell her he knew." "I tried," said Philomena, "but he said that if he kept his knowledge from her, he could hardly expect her to do otherwise." She frowned. "I didn&apos;t have a response for that. Besides, perhaps it will be good that she knows we&apos;re all watching?" "And at least she hasn&apos;t been banished," said Rainhart. "I&apos;m not confident I could have achieved that. Thank you." Nodding, Philomena said, "I wondered when he was going to say something. I&apos;m glad he took a few days to cool off first." While they had been whispering to each other, Tancred had been scanning some paperwork. Now he looked around, his eyes lighting on Rainhart. "Is all prepared?" 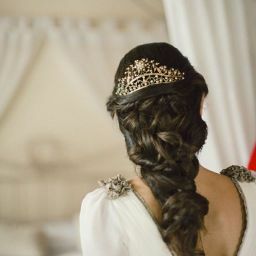 "It is, your majesty," said Rainhart as Tancred stepped off the dais and walked over to join them. "Henrik was a dear friend of mine and a wise advisor of King Godfrey&apos;s, and Milos a loyal baron. Neither of them deserved the death Valdon gave them. But we will pay it back in kind soon enough." "So be the will of the great gods," Rainhart murmured. "Quite." They walked through the castle and down the winding stairway into the vaults below the palace. There was already a group gathered together, pushing back the echoing darkness with torches. Three coffins stood on plinths in the middle of the vault. The first was draped in the banner of House Reuz. Valdon had quickly relegated King Godfrey to the catacombs. Rainhart laid his hand on the eagle sigil as he passed. They would observe the full ceremony for the death of a king when Valdon was defeated. For now, it must be enough that Godfrey rested with his ancestors. Tancred went over to the other two coffins and rested his palm on the wood of one, then the other, over the point where the heart would be. But below that place there was nothing except fabric. Although they had recovered Henrik&apos;s and Milos&apos; heads from spikes above the castle gate, so decayed and pecked apart that it was almost impossible to tell which was which, their bodies must either have been thrown in a common grave or carved up to be gibbeted around the kingdom. "My lords and ladies," said Tancred, "today we take the first steps towards righting a most grievous wrong done to two loyal and brave men. Baron Milos of Mullrose, and Henrik of Diewalde, Castellan of Breg Castle, were murdered by the usurper Valdon of Traumwald, not for any crime, but because they refused to bend knee to unjust and illegitimate tyranny." He turned to the coffin to his right. "My dear friend, I am sorry beyond words for leaving you to your fate instead of facing it with you. You died because Valdon could not reach me." He took in a shaky breath and continued when his voice was steady. "And so, you will rest here in the royal vault in company with the other great heroes of Deusetats." He nodded to Konrad, who stepped into the flickering torch light. "Uncle," he said, resting his hand on Milos&apos; coffin. "You died well and bravely, standing up against tyranny, and House Mullrose is proud to own you. When the time is right, I will take you back to lie among your ancestors." "And until then, it is my honour that Milos of Mullrose rest here in the royal vault among friends," said Tancred. He reached out and clasped Konrad&apos;s wrist briefly. Rainhart felt a lump rising in his throat. He bowed his head and studied his clasped hands in the dim light. Milos had been the nearest thing to a father that he had had since he was ten. He had given Rainhart his first sword, given him Briga and helped him train her. All the happy memories of his growing years were because of Milos. He swallowed around the obstruction and drew a long breath in through his nose. Valdon had taken two fathers from him. "Are you all right?" Philomena whispered. "I&apos;ll be all right when Valdon is dead," Rainhart replied. The ceremony finished a short while later, and they walked single-file through the vaults and up into the castle. Rainhart heard the whispers of the servants, and knew they were talking about Philomena. She knew it too. "When we snuck in, you read from their minds the rumours Valdon spread about me," she said. Rainhart nodded, not looking over at her. "Why didn&apos;t you confront me with them?" "I&apos;d like to think I have learned my lesson about confronting you," said Rainhart. He wanted to smile, but the air of the catacombs hadn&apos;t left his lungs. He felt dusty and heavy. "And I thought you might--ah, you might prefer to discuss those rumours with Tancred rather than me. I hope I did not offend you by going to him first." "No, you didn&apos;t," said Philomena. "I consider these rumours a nuisance, nothing more," Rainhart continued. "Like the slander Valdon spread about Tancred, and the lies he used to justify slaying Henrik and Milos. More proof that the man lacks honour: he attacks you, hoping to weaken the alliance with Jovan instead of facing us on the field." Philomena grabbed Rainhart&apos;s elbow. "I want to tell you something," she said. "But not here." She towed him through the castle and into the little walled courtyard that housed the kitchen garden. He recalled that she had liked to sit out here when--before everything had happened. But she didn&apos;t sit down. Instead she dropped his elbow and wrung her fingers together. "You said that the rumours were a nuisance, nothing more." "I did, and I believe it." "They&apos;re true." Philomena gathered her full height and put her chin up. "I am not Lord Valentin&apos;s daughter."